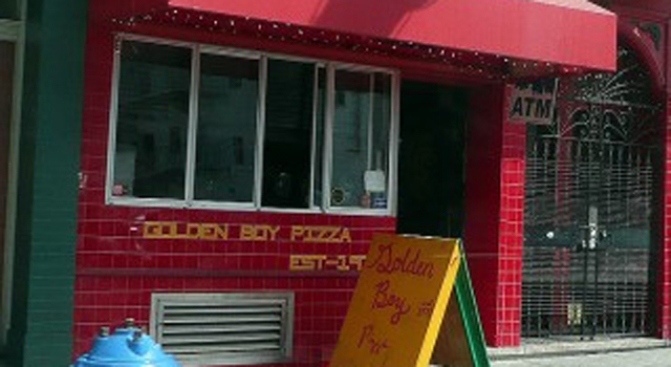 The North Beach pizza business just got a little bit tougher. North Beach: At long last, the new location of North Beach Pizza is slated to open sometime in the next few days. The big difference here is the inclusion of a by-the-slice/take-out entrance, meaning that it's going to try to go toe-to-toe with late night destination Golden Boy. The old location across the street won't close immediately, and even though NBP is thoroughly mediocre, it remains oddly popular. But taken with the news we broke back in January about Tony's Pizza Napoletana, this means that we've got three high-profile pizza joints within a block from each other (as artfully depicted in our geographic representation above). Sure, the more gourmet Tony's should hit a slightly different demographic, but there's nothing like some old-fashioned pizza competition to heat up the NB.